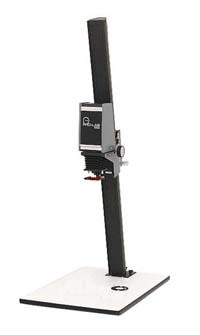 The Omega B-66 is the more modern update to the famous B-22 enlarger. Like the B-22, it can handle multiple film formats from 35mm to 2¼"x2¼", but it's revised lamphouse design provides easier access to the condenser lenses and lamp. The lamphouse filter drawer can be used for filters for variable contrast B&W papers or color printing. With the extra long column, enlargements greater than 16"x 20" can be made on the baseboard, while even larger magnifications are possible by reversing the column and projecting onto the floor. The refurbished enlarger comes complete with 75W opal enlarging lamp, double condenser lenses, heat absorbing glass, lamphouse filter drawer, under-lens filter holder, red safety filter, one #421-017 39mm lens mount, and a copy of the B-66 instruction manual. Lenses and negative carriers appropriate for the negative formats you wish to enlarger may be purchased separately and combined for shipping. 35mm Negative Carrier for Omega C700, B600, B635, B-66, & B-22 enlargers - Used 6x6 Format Negative Carrier for Omega C700, B600, B-66, & B-22 enlargers Minox Format Negative Carrier for Omega C700, B600, B635, B-66, & B-22 enlargers.